My opinion of this book is best described as mixed. There were things I enjoyed and thought were good, and things that really frustrated me. Emergency Contact follows Sam, a 21-year-old aspiring movie director, and Penny, a college freshman who dreams of being a writer. When they meet and exchange phone numbers, they text constantly and form a friendship over their secrets they would never share in real life. The first thing I feel I need to mention is the pacing. Not much happens plot-wise in this book, and you can tell. While there are some underlying, interesting plot points, they aren’t explored enough to turn the pages. The first half of this book moved slowly and combined with another factor that I’ll talk about later, it was hard to push through. In the second half, the story picked up and more was happening, but it doesn’t make up for the crawl that was the first 50%. The writing style is very straightforward and real. I’ve seen a lot of people compare this book to Eleanor and Park and I can totally see that, mostly due to how both Rainbow Rowell and Mary H.K. Choi make the awkward encounters and dread seem to tangible. I also loved how Choi shows Penny working on her writing and going to classes. It was fun learning with her and seeing her grow into her voice. There were a lot of great themes in this book, but they were never discussed or explored more than a mention here and there. As I mentioned above, there are mentions of sexual assault. While I liked the message behind it, I feel like it wasn’t given enough time or emphasis that I feel like it needed. There were also a few other topics and plot points that I thought could really have benefitted from further exploration. On a different note, I did like how Penny frequently called out racism. I thought that was handled really well. The characters in this book were probably the weakest part for me. I didn’t like Penny for 90% of the book; there were just a few scattered scenes were I related to her, but mostly I was just so done with her. She came off, to me, as an entitled, superior person who didn’t care about others. I just really didn’t like how she treated other people, and her character development wasn’t enough to redeem her actions, in my point of view. However, I could see how some people relate to her because she did have relatable moments. Sam was definitely a better character, realistically flawed but with some redeemable qualities. I enjoyed his chapters a lot more than Penny’s. The side characters were all interesting and I think I liked them more than the protagonists. Cons- Slow pace, didn’t like the protagonist. 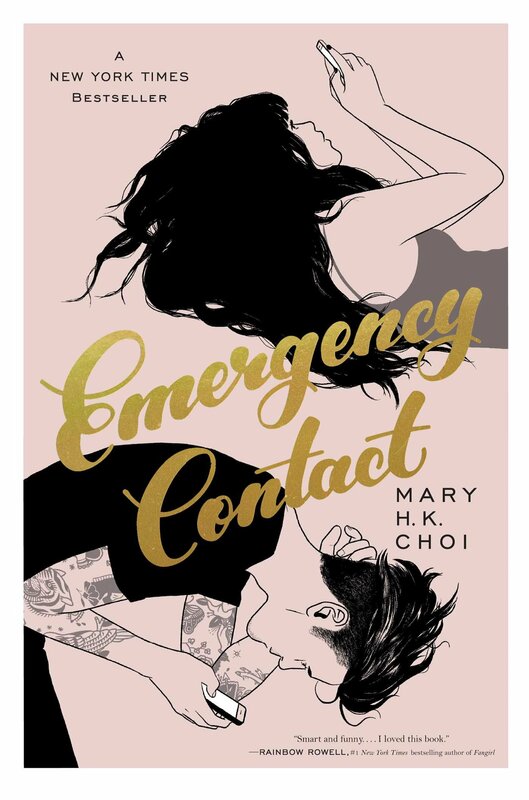 Emergency Contact was an okay read, and I can see why people like it, but ultimately it was disappointing and not for me.